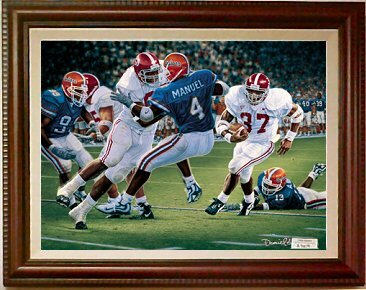 "Rebirth in the Swamp" - Daniel Moore's tribute to Shaun Alexander and Chris Samuels. In October 2, 1999, Alabama stunned the Gators as Shaun Alexander, following a Chris Samuels block, ran for the touchdown and the come-from-behind victory in the swamp. both players continue a tradition of winning in the NFL.